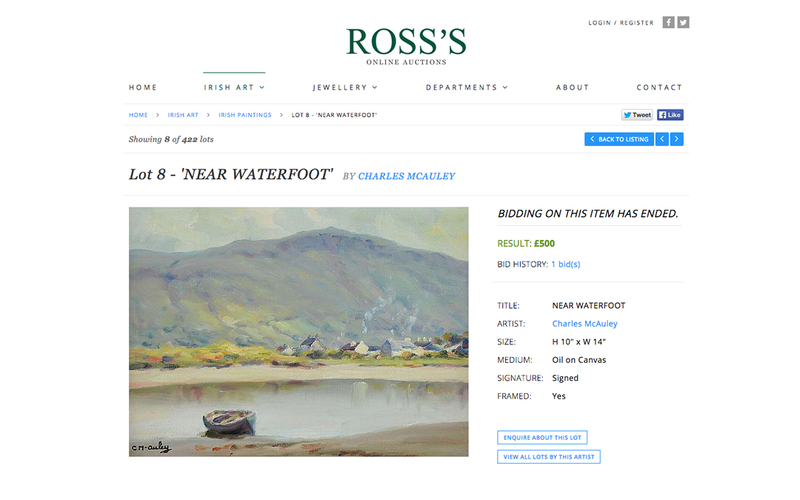 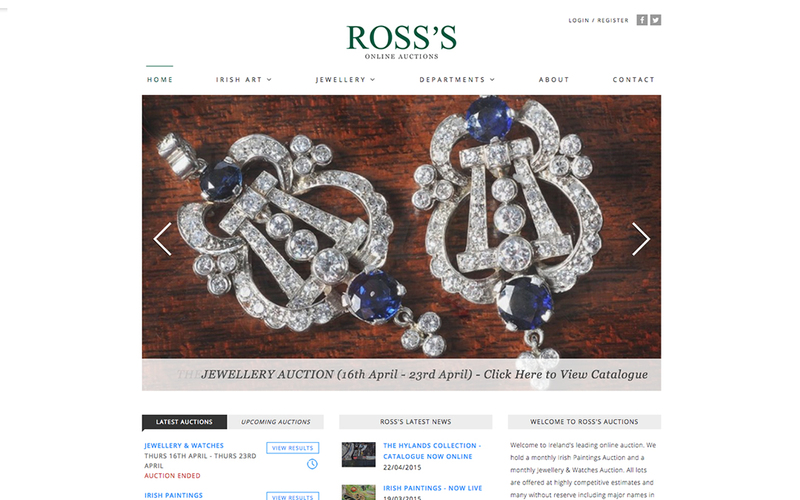 Ross’s has been long established as Northern Ireland’s leading auction house. 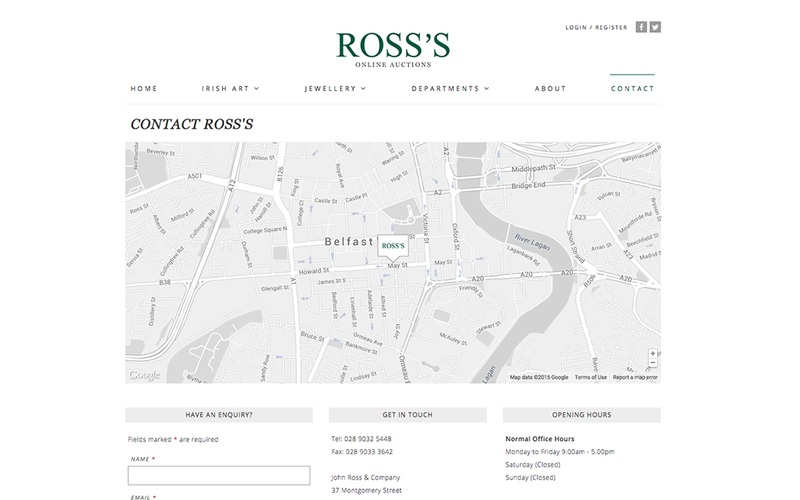 The company represents government bodies, institutions and private clients. 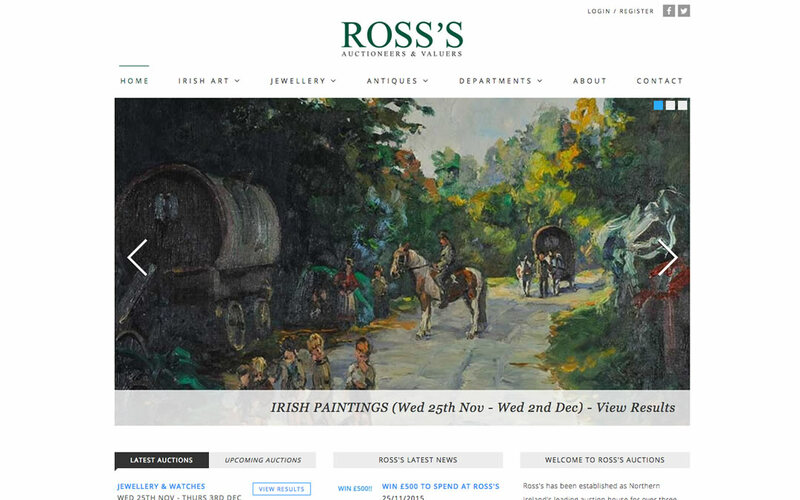 They are considered to have the finest saleroom and picture hanging space of any auction house in Ireland. 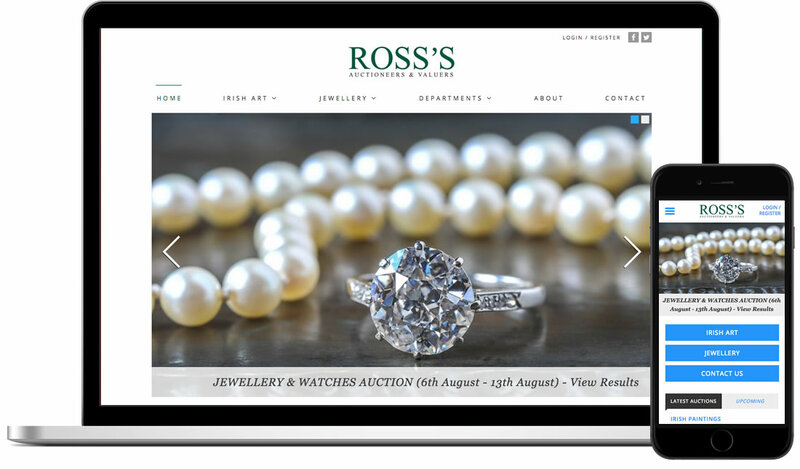 We have worked with Ross’s over a number of years to gradually develop their online presence – the current website is the culmination of this process. 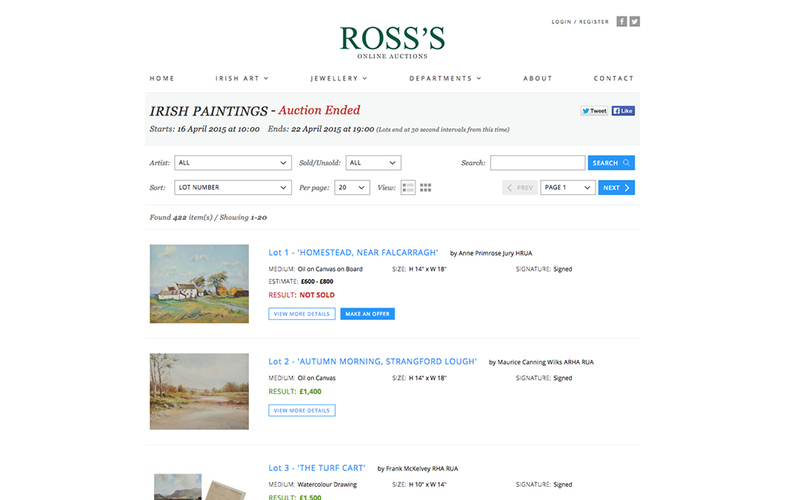 Using our system Ross’s hold regular online auctions where customers can bid live in real-time.